Geranium phaeum is a clump-forming perennial, a hardy geranium, often cultivated as garden plant. Dusky Cranesbill, Mourning Widow and Black Widow are some of the common names this European native plant is known by worldwide. Geranium phaeum grows 45-75cm (18-30 inches) tall, producing hairy flower buds on branching, slender stems. Its tiny, slightly reflexed flowers are deep violet-maroon, almost black, having a lighter whitish center ring. White colored flowers exist as well. Blooming period is from end April to July, with sporadic re-bloom throughout the summer. 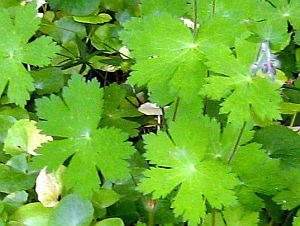 Geranium phaeum leaves are slightly hairy, lobed, soft green, often with a purple mark. After flowering, cranesbill-like seed heads will form and the plant will reseeds, if allowed. 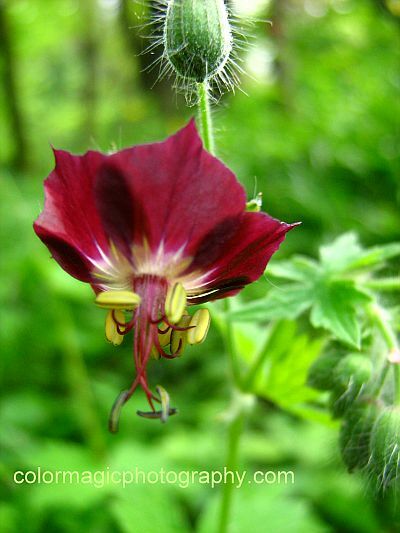 Geranium phaeum grows naturally in damp meadows and along the edge of woodland. It loves damp but well-drained soil in partial shade, though it tolerates sun and will withstand even periods of drought. Planted in shade gardens, wild gardens, under trees and bushes and shady borders this perennial geranium is a showy plant. Like its relatives, the Geranium Molle and the Geranium macrorrhizum, this plant needs no maintenance either. Gorgeous summer colors, the meadow is a dream. 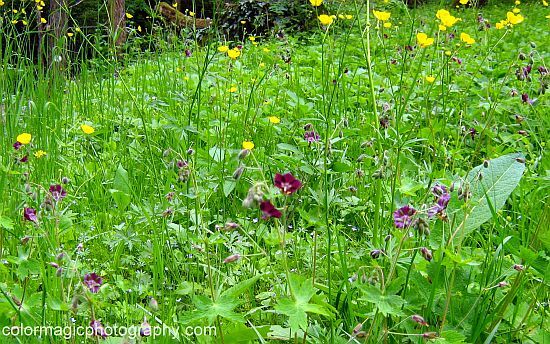 Very pretty wild garden. Nice to see your flowers again.